Seasonal affective disorder is the depression that occurs at the same time every year. This depression is associated with the changes in the season. Seasonal Affective Disorder (SAD) is also known winter depression, winter blues, summer depression, and seasonal depression. Most people have SAD during the winter season and tend to recover at spring and summer. But seasonal affective disorder can affect any seasons. Read articles from Pulse Plus Pharmacy to know more about common lifestyle diseases and foods for healthy living. People living in the northern and southern hemispheres are more likely to be affected by seasonal affective disorder as the daylight hours are not long and the condition is extremely rare in people living with 30 degrees of the equator. So how do you know if you have it? what are the signs and symptoms? And how to rectify it? Let us dive deep into the subject. Seasonal affective disorder is most likely to affect women. As women are more prone to psychological depression than men. Sad is diagnosed four times more in women than men. People having a family history of other types of depression are more likely to develop a Seasonal affective disorder. Depression and bipolar disorder can also trigger seasonal affective disorder. Seasonal affective disorder affects younger age group of people than older age. 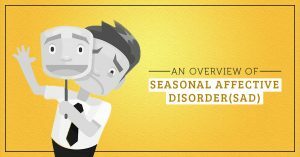 What causes seasonal affective disorder(SAD)? Though there is no exact reason found for this condition, researchers think it can be caused due to lack of sunlight. Sunlight can affect your body hormones and the chemicals in the brain. The theory is light stimulates hypothalamus- a portion of the brain containing a number of small nuclei with a variety of functions. The hypothalamus controls your sleep, mood, and appetite. Melatonin is a hormone that regulates sleep. The pineal gland in the brain produces this hormone when its dark that makes you fall asleep. During winter months, the pineal gland produces a higher level of melatonin, increasing sleepiness. The hormone serotonin affects mood, appetite, and sleep. With less serotonin, low serotonin is produced. Serotonin levels may be lower during the winter for people with SAD. Our body uses sunlight for performing major functions. Lack of sunlight might disrupt the body’s internal clock, leading to SAD symptoms. Feeling depressed throughout the day. Changes in your appetite or weight. Light therapy is the primary treatment given by doctors for the seasonal affective disorder. Light therapy works by replacing the natural sunlight exposure with bright artificial lights. Patients are made to sit in front of a lightbox daily in the morning during the fall season until spring. Light therapy resets the body’s internal clock. Dawn simulation is also another type of light therapy where a dim light is switched on when you sleep and start to become brighter in the morning mocking a sunlight. SAD is treated with a psychotherapy called cognitive behavioral therapy. The goal of cognitive behavioral therapy is behavioral activation, which involves in identifying the negative thoughts of the patient. Behavioral activation enables a person to identify their positive characters and activities that give joy and happiness to them. There are few controversies of using vitamin D for treating seasonal affective disorder. It has been noted that patients with SAD have low levels of vitamin D. The low levels are due to less exposure to sunlight and dietary intake. Some experts believe that vitamin D supplements can much effective as light therapy. Here are few natural remedies to try for seasonal affective disorder. Try to get more sunlight preferably in the morning in order to get your mood refreshed. Use the lightbox as suggested by your doctor. Change your eating habits and eat foods rich in melatonin and tryptophan. Get social, indulge yourself with the outside world. Plan a trip to a tropical climate place. Do yoga and keep yourselves calm and relaxed. Gifty Narkani is a content crafter who formerly was an aviation professional. She writes for www.pulseplus.in. She is an avid reader and loves writing impeccable contents pertaining to Lifestyle(Health & Wellness). She holds a bachelor degree in business management. 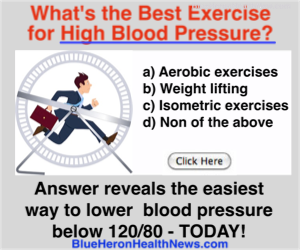 This entry was posted in Good Health, Mental Health, Quality of Life. Bookmark the permalink.